Our Home for the Holidays package is the perfect way to celebrate everything associated with the Holiday Season! Family, friends and good times! gather around the piano and sing the evenings away! 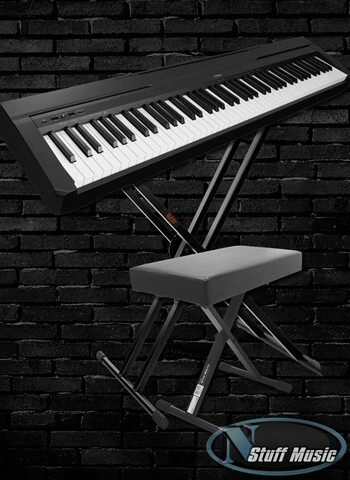 The Yamaha P-series piano has built-in speakers and a real piano touch with 88 full-size, weighted keys. *Eggnog not included.